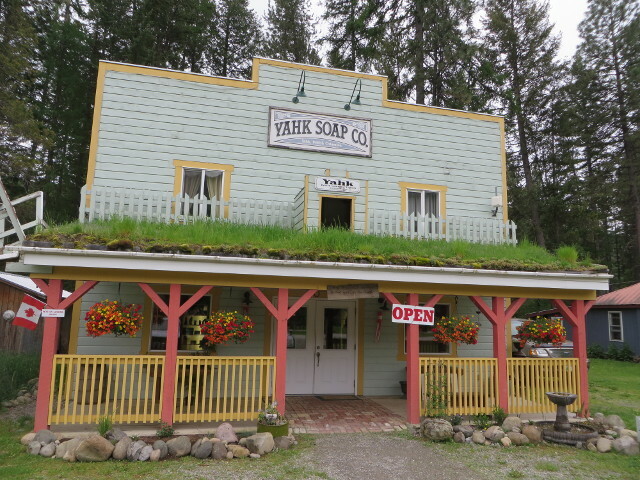 Taking the plunge, Tammy Bessant moved lock stock and barrel, or in this case skin care products, soap and candles, to Yahk, BC. Tammy installed the POS-n-go point of sales system in the shop and the next door Two Scoops Steve ice cream parlour. She has taken over the Yahk Soap & Candle Company and incorporated her Earthware business into one location. Her unique shop contains scented hand-made soaps and candles produced in-house and from other artisans in the Kootenay's. The gift shop contains a selection of hand-made jewellery, sewing and wood carvings. You can even get a cup of herbal tea. Earthwear Face & Body produces natural skin care products. Welcome to the POS-n-go family!! !